Greg German was born in 1956 in Mitchell County, Kansas, where he was raised near Glen Elder and farmed with his family for many years. A graduate of Kansas State University, Manhattan, KS, he holds a B.A. degree in English/Creative writing and a B.S. in Education. He also attained an A.S. in Agriculture from Cloud County Community College, Concordia, KS. Now, Greg and his wife, Regina, live in Kansas City, Kansas. They have a son, Alden. Over the years, Mr. German has accumulated a diverse background of work and life experiences. He taught high school English and creative writing at Junction City High School, Junction City, Kansas as well as community education poetry writing classes at Maple Woods Community College, Kansas City, Missouri. After teaching, he established Limestone9 Consulting, a website development, writing and consulting business. Active in social philanthropy, and community activism, he and his wife initiated Supporting Hands Network, a non-profit organization whose objective is assisting those in need. 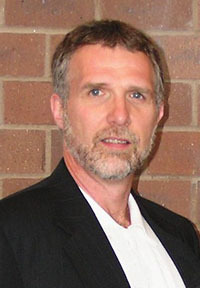 Greg has experience trekking in Borneo, the Northwest Territories, the Rocky Mountains and other unique destinations. He and is family once lived for three years on the Caribbean island of Dominica, where he was locally active with the government’s Department of Fisheries, Lifeline Dominica, a charitable organization, and as a committee member of the country’s Nature Island Literary Festival. His pastimes include basketball, scuba diving, deep-sea fishing, extreme hiking, and photography. Greg’s passion for writing began in his youth. Later, while at Kansas State University, he was fortunate to come under the tutelage of distinguished professor and renowned poet, Jonathan Holden who seriously influenced his writing. As a result, he has published poems and essays in over 50 academic literary journals. During Holden’s tenure as Kansas’ first Poet Laureate, Greg was privileged to be involved as project coordinator and host for the Laureate’s television program, Shop Talk, featuring Jonathan and distinguished Kansas Poets. Greg created and maintains www.kansaspoets.com a unique resource dedicated to Kansas poets and poetry. He has also been judged several poetry contests and was honored to be a guest editor for Pittsburg State University’s literary publication, The Midwest Quarterly, issue (V.48, No.4, 2007). and goes to look at his land. and considers never going home. to open. It shouldn't matter. with interest. They both fake it. and begins to read the future. by the chair that holds him. proving that he is not ageless. Q: Being a farmer is a very poetic job. The rigors and pressure of it are sometimes hard to put into detail. Did you encounter any difficulty trying to impress the physical and emotional demands of farming in your poetry? The quick answer to avoiding rigors and pressures in trying to create a successful poem is: BE HONEST TO THE EXPERIENCE… The catch though is that this in itself is NOT easy. Writers, poets, need to be aware and work hard to avoid falling into the trap of writing what is easy and or what they think the audience wants to hear -- instead of solid truth. Bees dancing to and fro between flowers to the rhythm of the soft wind… might paint a dainty and charming picture for some. But, the real truth is, perhaps, that each bee hustles haphazardly to a monotonous melody of instinct, a frenzied hustle between dandelions and hive. Hopefully one also can see in this quick example the “Show, don’t Tell” rule in action when developing images and scenes. perspective from which to develop a scene. The everyday encounters and movements that are farming, besides the obvious, include many small details, actions, and props -- often things off to the side, even distantly – that subconsciously or minutely add to the entire moment of any given experience. Being aware of and tactfully incorporating those smaller details often are what support the physical and emotional demands of successfully delivering the farming experience in my poems. Other examples can be seen in many of my poems, For instance, in “From the Truck Driver’s Seat,” there is brief focus on “one fly on the dash” and “sweat draining…” down the speaker’s back. Q. What prompted you to go back to school? Do you still dabble in farming? To answer the second part of this question first… No, though the farm land is still out there, my parents who are in their 80’s and long retired, now rent out everything. I don’t think that “dabble” is a good word in asking this question. Though I know it was not your intentions, I was surprised how the use of that word irritated me. I think a true-blue city person might dabble in farming, but a true-blue farmer young, old, separated, removed from the occupation…would never see their self as dabbling in farming. The volume of land, labor and seasons never emotionally leaves the farmer, his wife, his children even after being physically dissociated for whatever reason(s). Simple things like mowing the yard, gardening, driving past fields, seasonal changes …keeps the farmer forever attached in some unforgiving way. --- Yes, from time to time I make it back out to the country where I drive the back roads and have friends that provide me the opportunity to drive the combine or tractor for a brief bit. Though it feels good, for me, it is never easy. A lot of ghosts live out there in the fields… for all of us. Agriculture from a Community College, then had attended KSU for one year before quitting and getting married.) At this point I significantly reduced my herd and drove 200 miles round trip 3 times a week to classes for 2 semesters… At the end of the first year the economy was worse than ever; the bank notes were on the wall… My wife and I sold our end of the farming option (the livestock) and moved to Manhattan. I continued to assist my father, summers and weekends, with crops until he retired. Q: What was the biggest challenge of getting your work published? poems in 35 different literary publications. was introduced to free-verse poetry per which I had no clue existed 3) Writing a good poem by the rules set forth by Holden was a serious challenge per my wanting to get a good grade in the class. The motions of my increasing understanding of poetry and development of skills accelerated from that point. (For more on this experience, I suggest seeing my essay “Beyond Confessional… Jonathan Holden” located in the essay section of my website (www.limestone9.com). I’m not certain what you men per the second part of your question “…or did you start working after college?” --- After first getting my BA English / Creative Writing degree I went on to obtain a BS degree in Education… taught high school for a few years and then moved on to other things. For the past many years I have worked as a website developer / media specialist / writer and other stuff which embodies a lot of different tasks and insights. In the middle of everything I continued to assist my parents on the farm until their retirement. I have continued to write both poetry and personal essays… but not to the degree I would like; life is often in the way. Q. Lastly, in your poem "A Tired Farmer Goes to Town" you describe a man who gets wiped out by a hail storm. I've seen this look on my father a few times in my life, but he could never put into words the impact it had on him. What words best describe the feeling of loss and anguish after a crop-killing storm? Frankly, there are no words…. only emotions that are privately stuffed into the corner of one’s heart. My father, nor those other farmers that I was around having had similar experiences, would never expound. The extent of verbal recognition in company that I recall him or anyone relying on was the simple fact statement that “the crop was lost.” The emotional signals that I witnessed were simple displays of silence, a brief exasperated look, the pushing of his cap up and to the back of his head, uncaring whether positioned crooked or not… and perhaps a diminutive physical slumping of shoulders. The emotional weight of the ordeal which includes both financial and aspects of time …the experience, whether the loss due to hail, drought, flooding, wind, insects, fire is obviously incredibly dense – but all farmers, as their fathers before them, going in, understand the risks, rewards and disappointments. One time, when I was a teenager, having arrived one early morning at a devastated wheat field just prior to it being cut, I asked him what we were going to do now. “Start over again and cut it next year,” he flatly told me. We then drove to where the combine was, where hail hadn’t fallen, and continue with the day. Though burdened with disappointment, his pace never changed and he never looked back.